Whether you are a beginner, or just ready for a colorful quick-sew, this quilt is just what you need! A simple patchwork of 16 squares per block. I love that Tula's fabric speaks for itself ... no fancy piecing required! The bright colors of her Slow & Steady fabric line would make anyone smile! 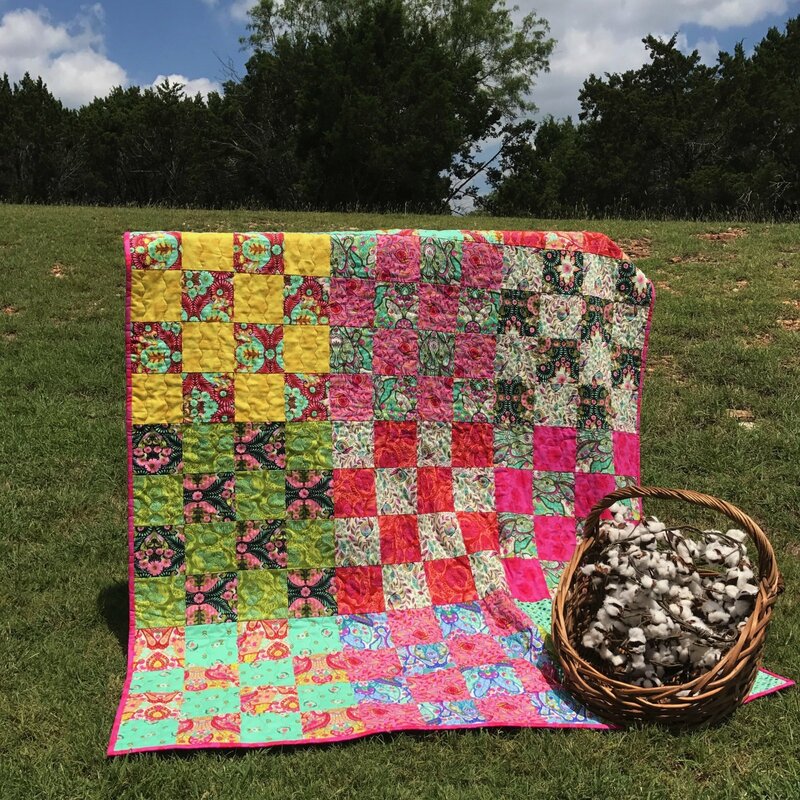 Whether for yourself, or a loved one, this 54"x72" lap quilt will brighten anyones day! Kit includes fabric for quilt top (24 Fat Sixths) and Villa Rosa Designs "Soul Mate" pattern. Binding and backing available for purchase separately.